Tim Huppe is Farm Manager and instructor for oxen workshops at Sanborn Mills Farm. Tim attended the Thompson School of Applied Science at the University of New Hampshire and worked in the construction and lumber industries, before joining Sanborn Mills Farm. Tim and his wife Wendy are longtime supporters of New Hampshire’s 4-H program and all four daughters are skilled teamsters. 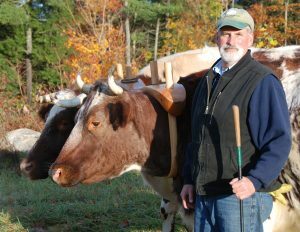 Tim has taught oxen workshops nationally including at Colonial Williamsburg, VI; Old Sturbridge Village, MA; Tillers International , MI; and Ferrum College, VI. Tim is also an accomplished ox yoke maker and is a past contributor to The Small Farm Journal and Rural Heritage magazines. Sanborn Mills Farm is a traditional New Hampshire farm and nonprofit organization dedicated to sustainability, creativity, and preserving folklife and agricultural knowledge so that the best of the past can help shape our future. Tim is a lifelong resident of Farmington. Following the presentation, there will be a reception. Light refreshments will be served. The public is invited and encouraged to attend. A business meeting of Society Members will be conducted following the reception. 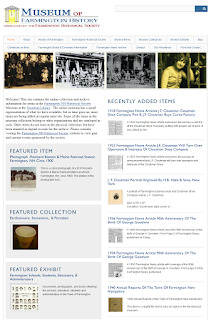 Membership in the Society is $5.00 annually. 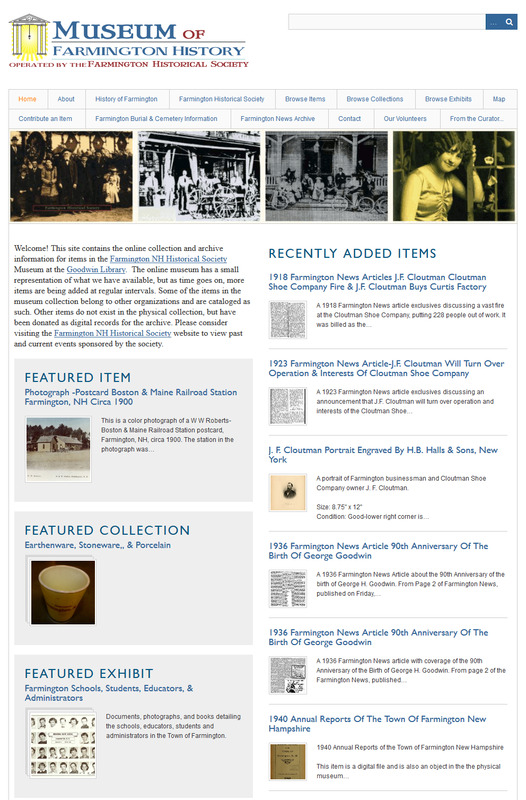 Please join and help us build Farmington's Future by preserving its Past! Labels: 2016 farm farming Laconia March presentation Sandborn Mills Farm.